At Ramos & Ramos our most important case, is yours. 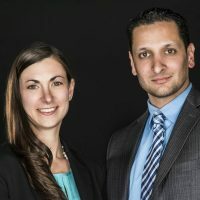 We’ve helped New Yorkers across the state with a wide range of cases involving various personal injury matters including automobile accidents, construction accidents, workers’ compensation claims, and medical malpractice. Whether you are faced with a legal issue, hurt in a car or work related accident, trouble with a insurance claim, buying or selling property or dealing with a difficult family member you should understand your position and all available options. We believe everyone deserves quality, legal counsel. Equally as important, we are committed to serving each person who puts his or her trust in us with genuine care, respect and compassion.